Nick Jonas & Delta Goodrem: Bowling তারিখ (08.02.2011) !!!. Nick Jonas holds onto girlfriend Delta Goodrem’s hand as they leave Pinz Bowling Center on Tuesday night (August 2) in Studio City, Calif.The duo were also seen out over the weekend at the golf course.. HD Wallpaper and background images in the দ্যা জোন্স্‌ ব্রাদার club tagged: nick jonas delta goodrem bowling fun hot 2011. 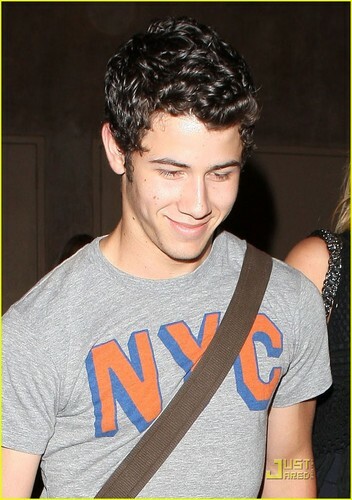 Nick Jonas holds onto girlfriend Delta Goodrem’s hand as they leave Pinz Bowling Center on Tuesday night (August 2) in Studio City, Calif.The duo were also seen out over the weekend at the golf course.